My first assignment as a Search Officer was Scandinavia. My initial group was 13 Section of M.R.E.S. #3 – but later I acted with 14 and 17 sections in Scandinavia – things were very fluid and need driven. 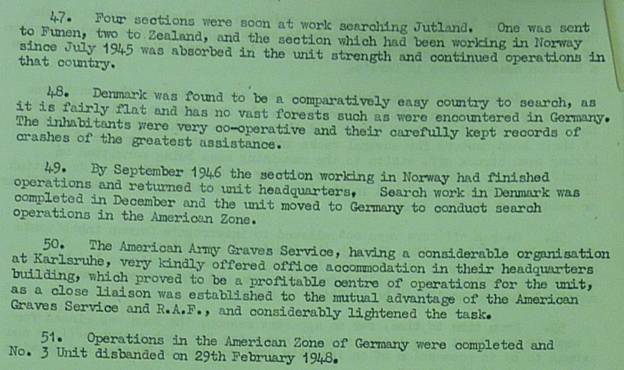 Later on I was appointed OC (Operating Commander) of 15 Section, MRES #3 in the American Zone of Germany. PHOTO: Hubert Brooks Photo Taken Upon Joing M.R.E.S. 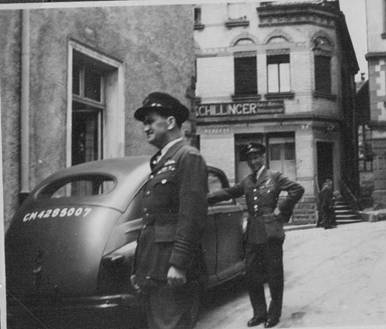 August 1945 HQ established in Esbjerg Denmark for: Norway, Denmark. 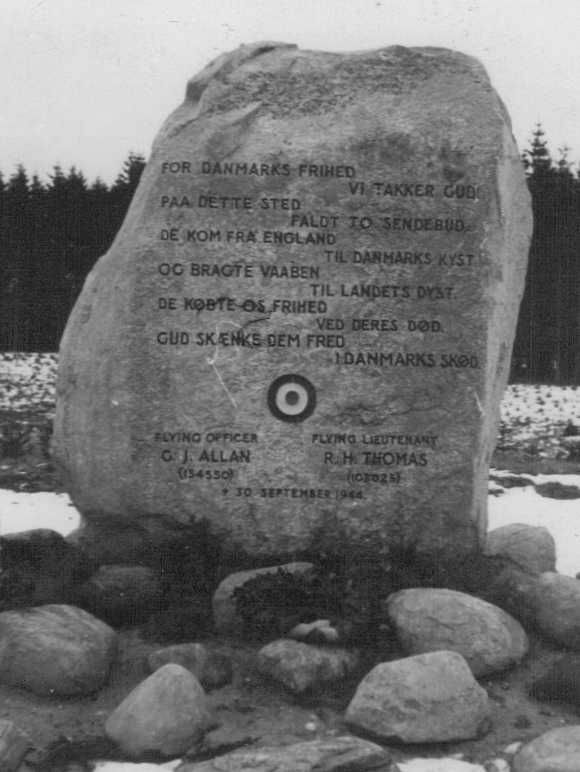 January 1946 Commence operations in Denmark. Begin sweep of north Schleswig– Holstein and south Denmark. Four sections established in Jutland, a section in Funen, two in Zealand, and one section in Norway. 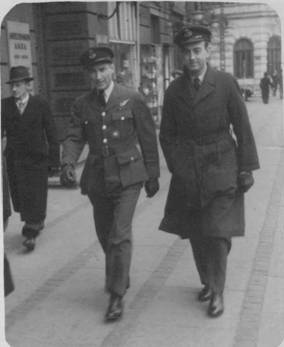 I arrived in Copenhagen, Denmark on 30–December–1945 and reported to local M.R.E.S. HQ for 13, 14 and 17 Sections of M.R.E.S. #3. 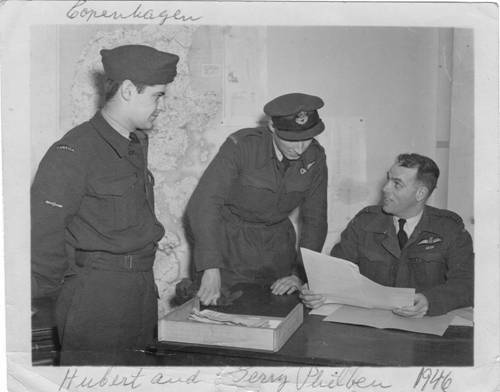 My immediate boss based in Copenhagen was S/L Gerry Philbin (R.C.A.F.) who in turn reported to W/C Angus McLean (R.C.A.F.) who was then responsible for the entire Zeeland section. (Angus later went on to serve in the cabinet of Canadian Prime Minister John Diefenbaker as Minister of Fisheries from 1957 until the government's defeat in the 1963 election following which he was the 25th Premier of Prince Edward Island). PHOTO: 1946 Copenhagen M.R.E.S. HQ: Hubert Brooks –center; S/L Gerry Philbin –right/seated. 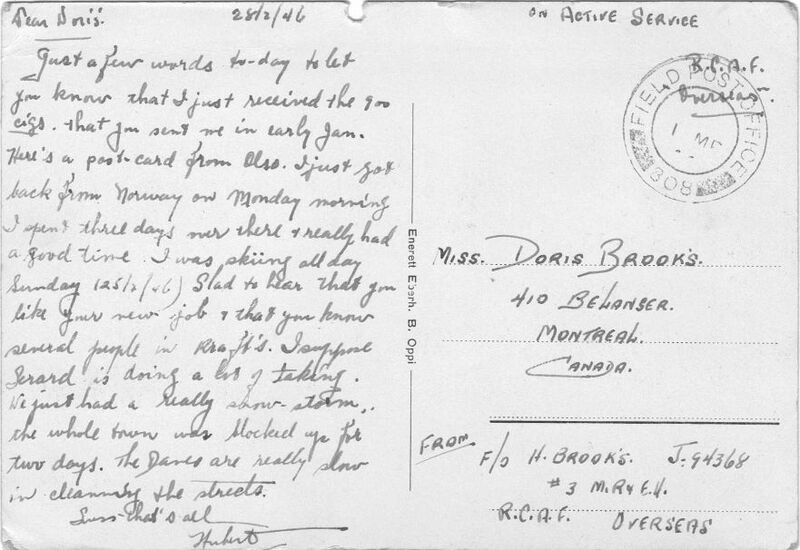 A few postcards I’d sent home to my mother and sister speak to my initial impressions and the travelling I was doing. There was a number of weeks reviewing and coordinating each file such that once out in the field I would have everything available at my fingertips. 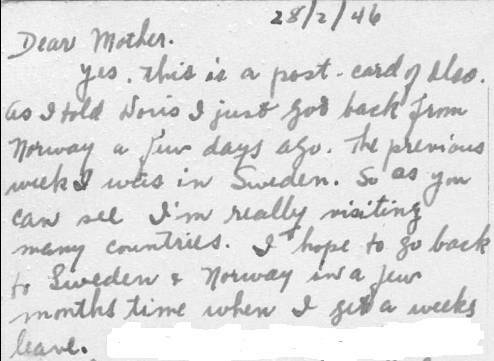 Although I did spend most of my time in the initial few months in Denmark I found by end of February 1946 I was spending more and more time in Norway on specific cases, most specifically in the Trondheim, Talvik and Kirkiness areas. 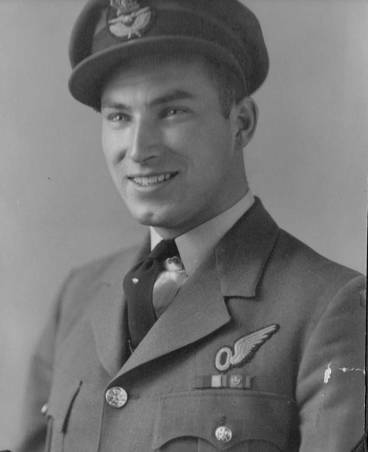 Although the transition from Denmark to Norway was fuzzy, I can say that my presence in Norway progressively increased over time and by June 1946 I was operating almost exclusively in Norway. There were simply more active cases to be followed up on in Norway around Oslo, through Kristiansand and Stavanger to Bergen. The stretch from Kristiansand to Bergen proved to be the most profitable area in Norway then thinning out north of Trondheim, but continuing right around to the Russian border. This was due to the large proportion of aircraft losses as a result of anti–shipping strikes. In a great number of these cases the aircraft and crew have disappeared into the sea and have never been recovered. My time in Denmark with the M.R.E.S. 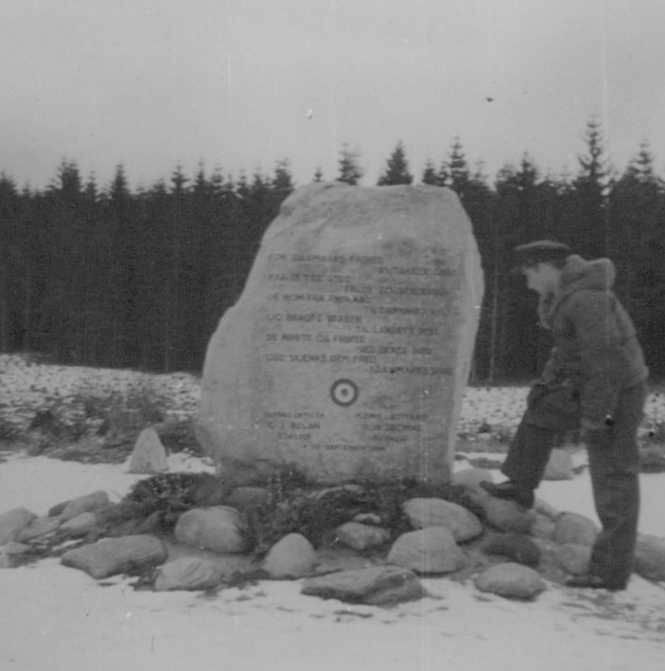 was an excellent training ground for the rigors of my Norwegian and American Zone of Germany assignments to come. 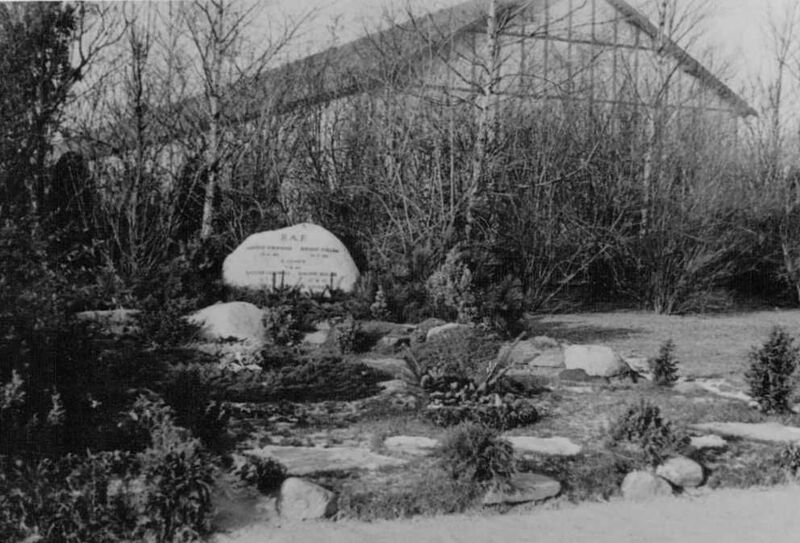 Part of the activity while I was with the various sections of the MR&ES in Scandinavia was verification of the reported grave sites of downed aircrew. This would take me to various areas along the Danish coastline. 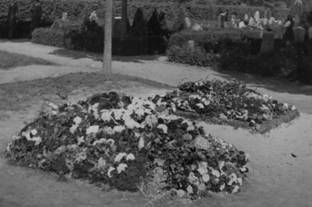 In doing so I would close off open files on downed aircrew and possibly result in a call to the GRU to improve or re–locate the grave site. 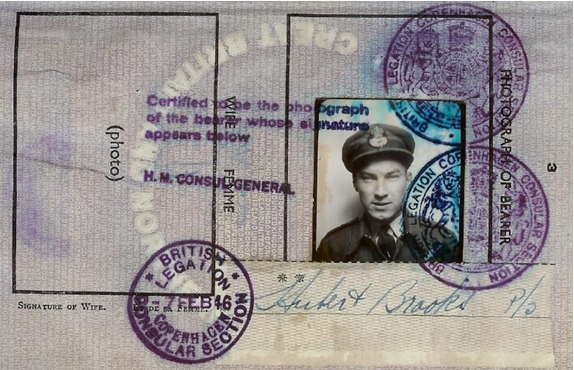 The photos that follow of RAF grave sites are from the Hubert Brooks Private Collection. 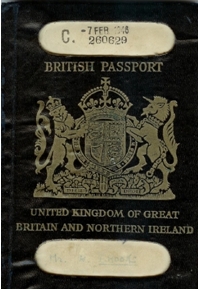 Early February I was issued my special MRES Passport. 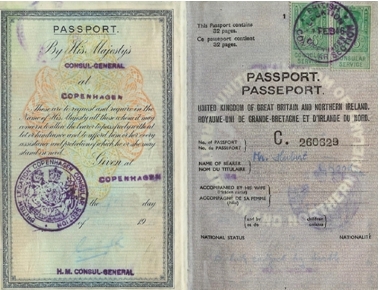 In those days, as a Commonwealth country, Canadians used UK passports. One case of note in Denmark was the so called Flying Boot Clue case. 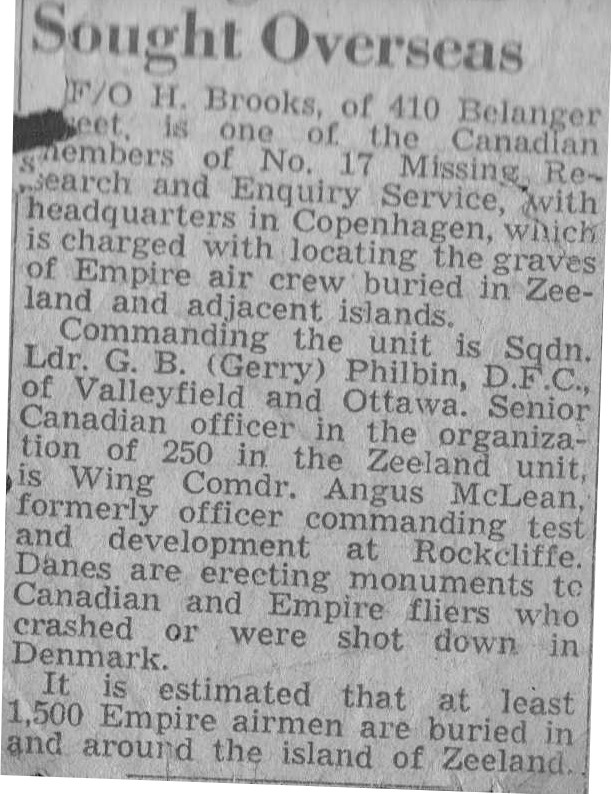 On 29th April 1943 Stirling R.9290 engaged in mine laying crashed into the sea near Vesternas, in the west island of Laaland, Denmark. 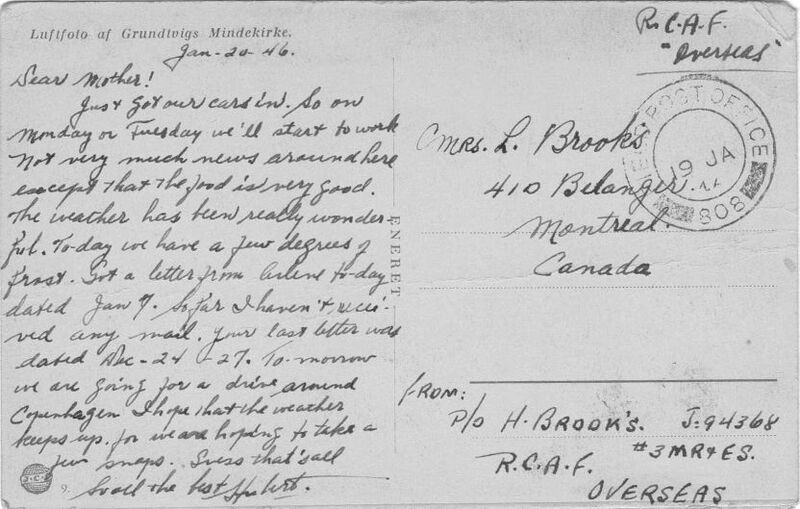 This was not known by MRES until in 1945 a Dane reported the discovery on the seashore of a flying boot marked 1272875. This number gave us the name of Sergeant P.A. 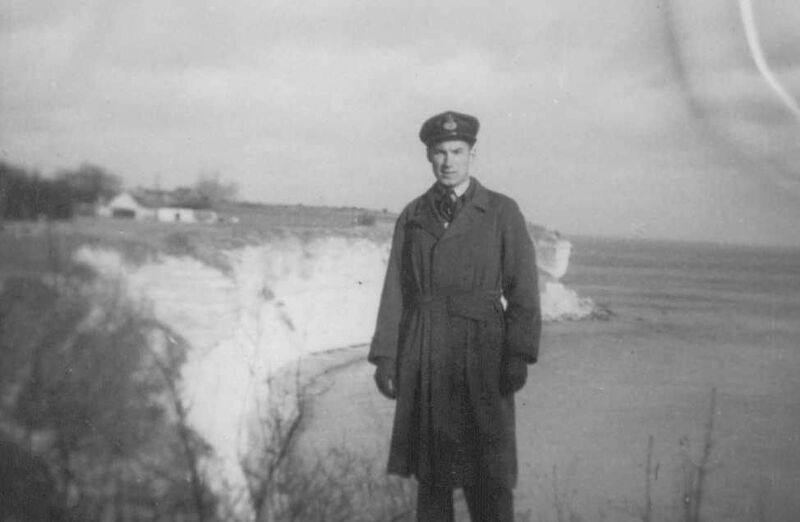 Moulton, a member of the crew of the Stirling. No 3 MREU visited Vesternas and elicited the whole story. The aircraft had exploded over the sea at a point to the west of Vesternas. Remains were scattered along the shore for a distance of four miles. Local police buried them in holes along the shore but failed to mark the places. As the seven member of this crew have no known graves, a memorial plaque will be erected under the terms of A.M.C. 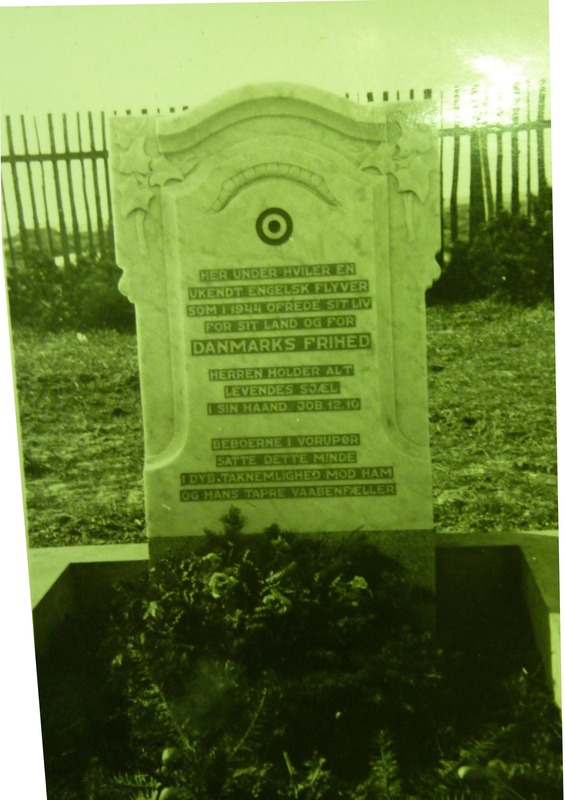 A1682/45 by the Imperial War Graves Commission at the nearest Danish Cemetery. The elucidation of this mystery is entirely due to the fact that a resourceful Dane noted the number in the flying boot, kept his note and reported his discovery two years later. 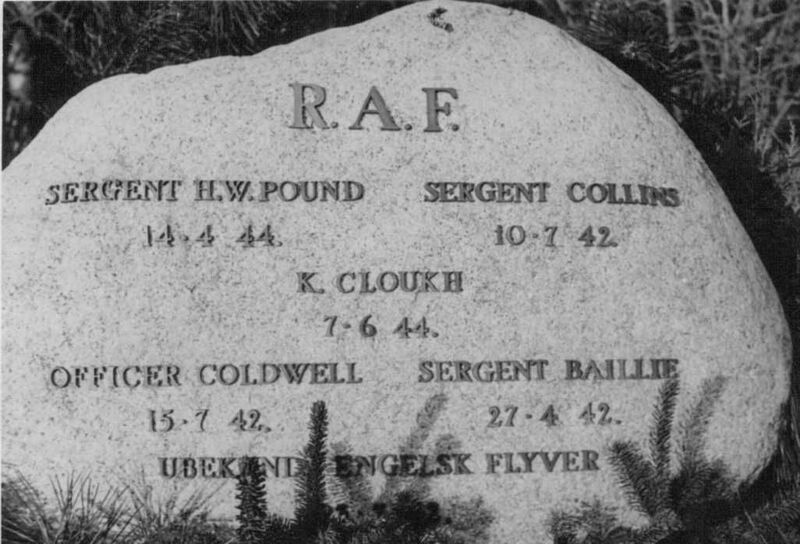 For a very detailed LIST and ANALYSIS of the downed Allied and German air crew in Denmark, see the excellent web site Airwar Over Denmark by Søren C. Flensted.